Legend tells us that the priestly vestments were made of discarded rags. 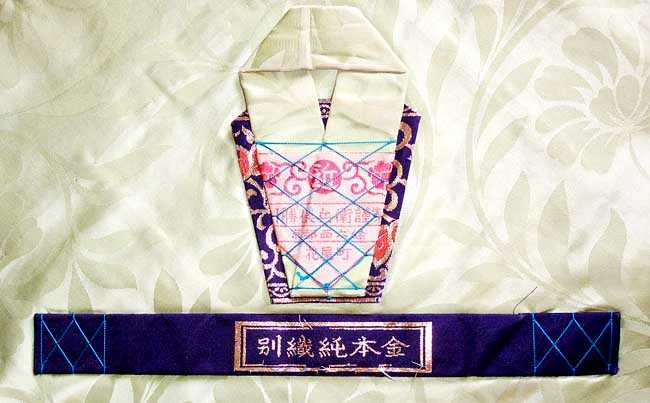 The patchwork configuration is characteristic of the Buddhist vestment called Gasa or Kasa. 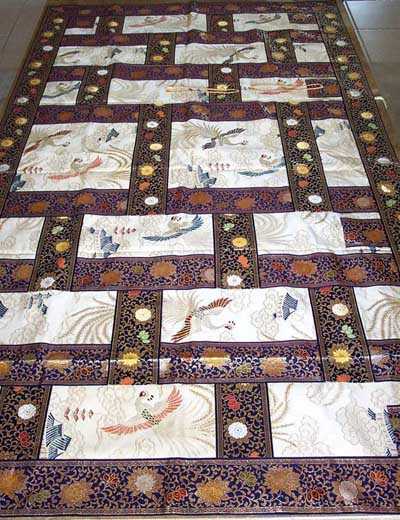 Seven narrow panels of cloth are stitched together and symbolize the virtue of poverty and freedom from desire. 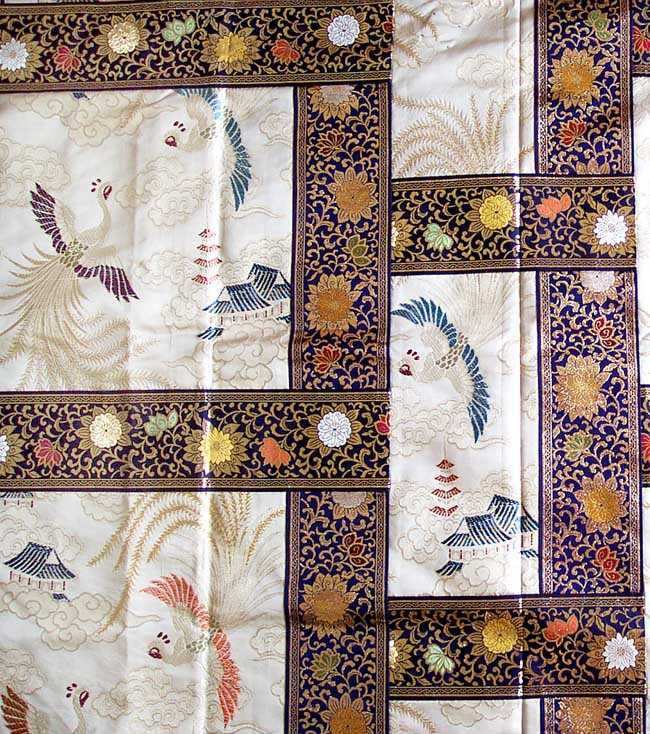 The large flat rectangle or kasa is woven in silk brocade. 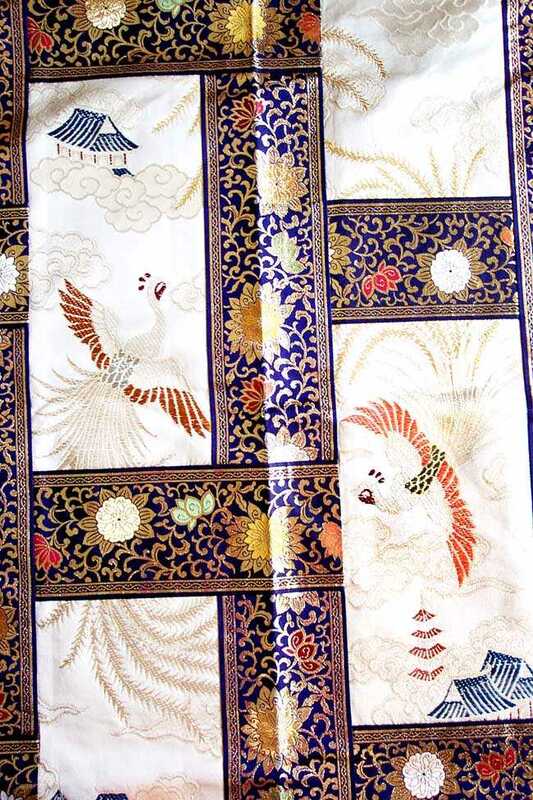 The lavish pattern features flying houou (birds), castles and clouds. 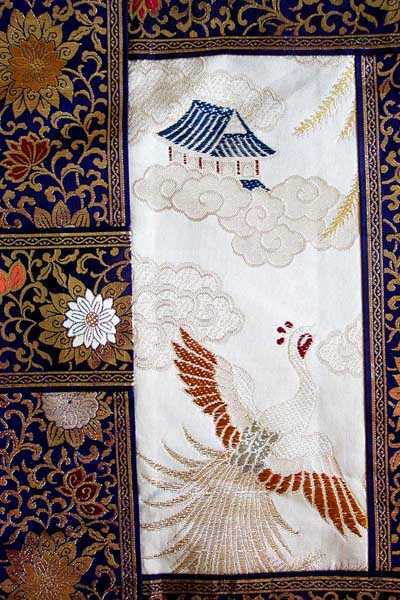 The birds are framed in a golden karakusa motif on a black field. The cloak has two orante cords on the outside. 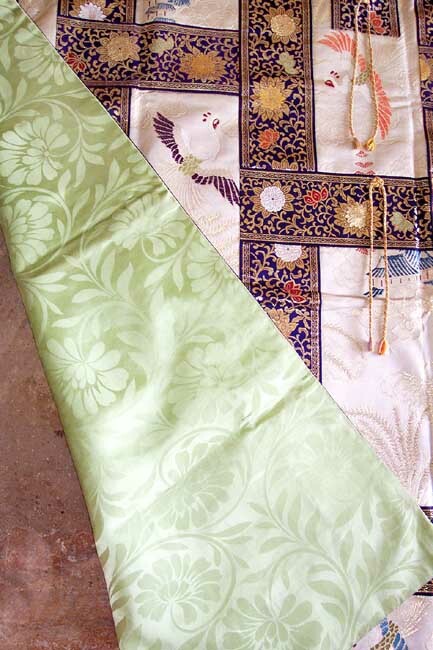 The kasa is lined in light green silk damask. 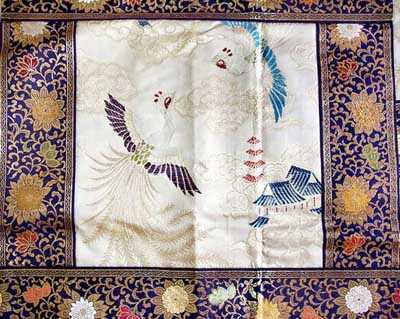 The damask pattern is large flower design. The seven-panel kesa and its smaller twin the Ohi are worn together. The designer’s name and the address of his establishment (Kyoto) appear on the reverse side. An interesting note is also inscribed. Translated it says “ Special weaving and pure gold”. Fasteners and reinforcements are found on the under side of the vestment. The large kasa is in good condition except that one ornate string is showing its age some. The Ohi has some holes in the lining and its ornate strings are also showing some use. 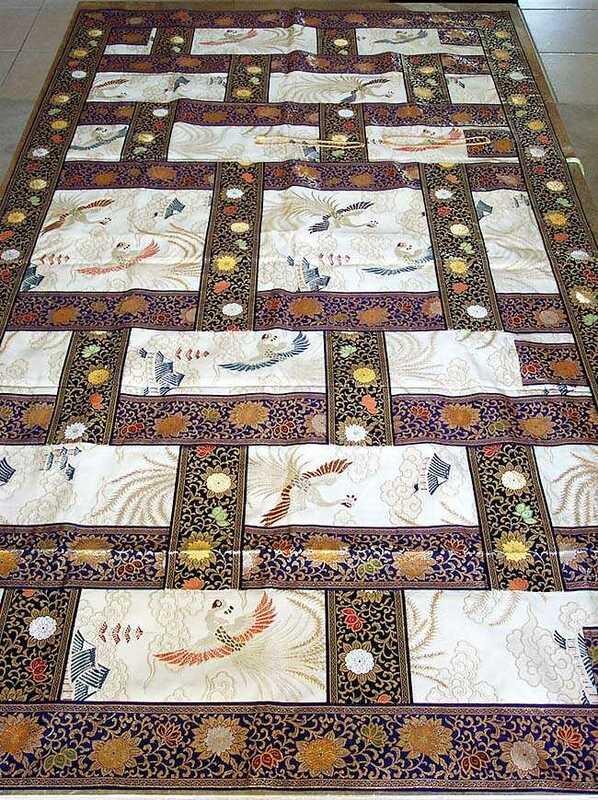 Kesa Dimensions: 46” Wide X 80.5” Long and Hoi Dimensions: 14” Wide X 61” Long.